Since July 2018, South American Tours is a formal signatory of the WTTC’s Declaration on Illegal Wildlife Trade. This was an important step to actively and publicly support the fight against illegal trade in wildlife worldwide. Our planet's wildlife is precious and every animal deserves living peacefully and freely in their natural habitat. Of course the highlight of every of our tours is spotting a wild animal, just living its life, like it’s supposed to be. And for us, pure moments like this are worth everything. We do not tolerate any form of illegal hunting, capturing or trading of animals. On our tours, our licensed guides inform the travelers accordingly and educate them on how to behave near wild animals. Therefore, we are more than proud, that South American Tours is one of the global leaders getting together to finding solutions on how the travel & tourism industry can help eradicate Illegal Wildlife Trade. Unfortunately illegal wildlife trade is still growing every year. It is estimated to be worth up to $20 billion annually, which threatens over 7000 species of animals. Flora and fauna are important attractions of the tourism product, so it is the responsibility of the tourism sector to support initiatives that protect the wildlife and fight illegal actions. However a coordinated, high-profile engagement from the tourism sector was still missing. To respond to the appeal of John Scanlon, Secretary General of the Convention on Illegal Trade in Endangered Species (CITES) at the 2017 WTTC Global Summit, WTTC developed a Declaration for the Travel & Tourism sector worldwide to show joint commitment and action to fight against illegal trade in wildlife. 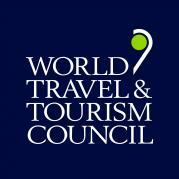 The Declaration was introduced at the 2018 WTTC Global Summit in Buenos Aires, Argentina, on 19th April 2018. 1. Adopt or encourage the adoption of a zero-tolerance policy regarding illegal trade in wildlife. 2. Increase consumer, client and staff awareness about the nature, scale and consequences of illegal trade in wildlife. 3. Promote the Declaration and its Commitments across the entire Travel & Tourism sector and encourage all in the sector to sign up to the Declaration. 4. Actively promote a responsible approach to wildlife-based tourism, namely one which has tangible conservation outcomes and a tangible positive benefit to local communities. 5. Promote only responsible wildlife-based tourism products. 6. Sell only wildlife products that are legal and sustainably sourced and that meet CITES requirements. 7. Identify and promote systems for staff and the public to report suspicions in relation to the transportation and sale of illegal wildlife and wildlife products. 8. Improve the training of staff within the Travel & Tourism sector to enable them to detect, identify and report suspected illegal trade in wildlife, and acknowledge staffs, who champion this cause. 9. Raise awareness among customers, staff and trade networks about illegal trade in wildlife and how they can assist in tackling the problem, including by not buying illegal or unsustainably sourced wildlife products. 10. Engage with local communities to define and deliver a model of wildlife-based tourism which positively impacts the communities where it takes place. 11. Identify and promote opportunities for investment in local infrastructure, human capital and community development. 12. Promote the benefits of Travel & Tourism to communities where wildlife-based tourism takes place.